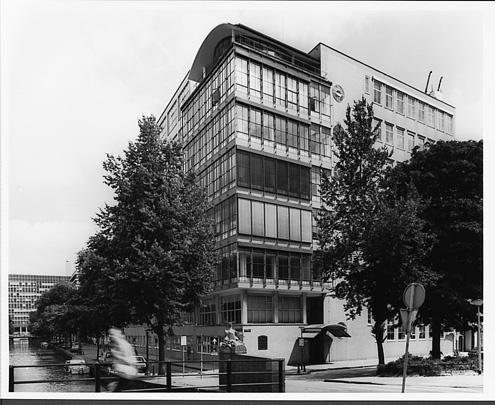 The design was to refurbish and expand the Jewish invalid centre at that time housing 300 patients. The new building is dominated by a transparent corner of wards giving a maximum overview of the mainly housebound patients staying in the dormitories and sick bays on Nieuwe Achtergracht. This section is crowned by a setback structure, the administration department, sporting a thirties-style semicircular roof. The main entrance was on Weesperplein along with the synagogue and festive hall. The building now contains offices.